Last year, when Chinese pianist Lang Lang released his solo recording "Memory," he reflected on many traditional European piano compositions he learned as a developing pianist. On his latest solo release, Lang Lang examines his roots from another angle, introducing the world to piano transcriptions of the Chinese songs he remembers his parents playing and singing. For Lang Lang, these pieces are like fairytales. The CD is called "Dragon Songs." It's also the title of a film documenting his recent visit to China to make the disc. In concert, Lang Lang often gives his audience a taste of traditional Chinese music as an encore. With "Dragon Songs," his goal is to open that door even wider. Except during the Cultural Revolution, Chinese musicians have long displayed an interest in European culture and music, particularly through the piano. Lang Lang thinks authentic Chinese music may be a little hard at first for some Western ears to take in, with its traditional instruments like the pipa, a Chinese lute, or the guanzi, a double-reed pipe. But add a piano to the ensemble and the sound instantly becomes more familiar. Each of the three final tracks on "Dragon Songs" is a duet with a master musician from the Central Conservatory in Beijing. "Dance from Qiuci" is one of my favorites. This one features the guanzi, which is a lot of fun, partly because it sounds like an oboe with stuffy nose. There is an air of chance, of unpredictability, in this piece, just as you might hear in the great klezmer or Roma music traditions. Incidentally, Lang Lang was a little nervous when recording this piece. He did it in the auditorium at the Conservatory where he took all of his piano exams as a student. He was determined not to miss a note, and he succeeded. During Mao Zedong's rule, beginning in 1949, the state supported Chinese pianists in developing their technique and expected composers to write cheerful music, mostly based on Chinese folk sources. A piece from that period, "Happy Times," is a brief, yet vigorous display of musical fireworks guaranteed to bring a crowd to its feet. Lang Lang certainly does that with this powerful little knuckle-buster. During the Civil War and the Japanese occupation of China in 1937-45, music like Xian Xinghai's choral work "Great Song of the Yellow River" offered the nation solace and encouragement. Mao Zedong's wife, Jiang Qing, who was quite fond of the piano, commissioned an arrangement of this cantata as a piano concerto in the mid 1960s. The concerto opens with a robust orchestral crescendo that paves the way for the emotional impact of the piano's entrance. If it weren't for the added colors of the Chinese flute and the pipa, this work might be mistaken for a bold Russian piano concerto by Tchaikovsky or Rachmaninoff. "I love the idea of making connections between Chinese culture and the rest of the world," Lang Lang explains. He's already introduced many masterpieces from the Western classical tradition to audiences in China. 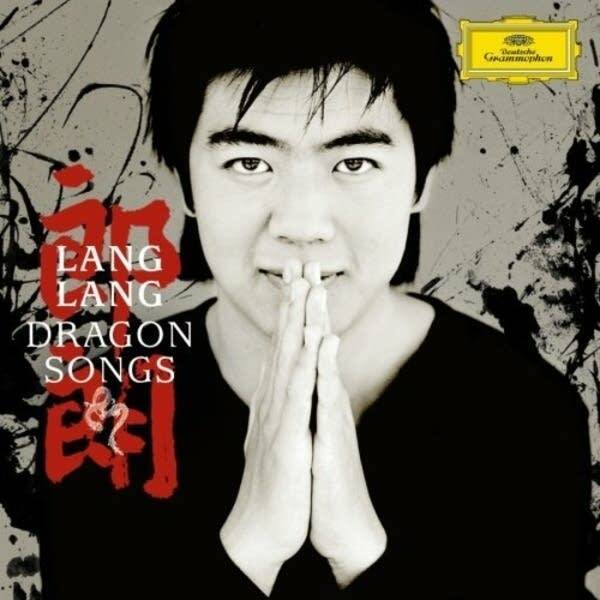 With "Dragon Songs," Lang Lang's cultural exchange comes full circle as he steps up his efforts to share Chinese traditional music with the Western world. Julie Amacher's desire to introduce others to great music is what led her to radio.